I have been to Harrods once before and It was such a brief visit that I was so happy to have another chance while here in London ! I was about 17 years old when Princess Diana passed away and I vividly remember being so sad for her kids and really sad personally about how she passed. I couldn’t believe after all that it “seemed” she had gone through, being a princess, a divorce, and finding a new life for herself that inexplicably, her own life was taken too early. I obviously did not know her but was rooting for her happiness. She was definitely an icon and a seemingly kind and caring person. Her story seemed to end as a tragic love story. The ring that is at the memorial was said to be the engagement ring Dodi was to propose to Diana with. And the glass in the display, still today vaguely shows her lipstick. It was supposedly her last drink before the auto crash that tragically took both of their lives. 2. The Specialty Perfume Floor on the 5th floor. Not many people even know it exists! I happen to discover it by asking some of the people at the regular perfume counters if they knew of any perfumes that were exclusive to Harrods and not available anywhere else. They then told me about the magical 5th floor! Both times I have gone up there I really felt like I was in a specialty mall of perfumes. The Perfume floor has non-exclusive perfumes as well as exclusive ones. It’s much more quiet than the main hall on the first floor. My favorite is Ex Nihlo Jasmin Fauve. I love a floral perfume. To me it’s a very classic feminine scent. I didn’t buy it since I actually can purchase it in New York and I just purchased a scent the day before… ( I’ll let you know about that in another post 🙂 ) Totally worth a visit if you are a lover, or collector of perfumes. I love a good food hall. It’s like a grown up souplantation (aka buffet) I can pick and choose anything I want! Yum. And its so much fun to see all they have to offer. They have already prepared foods and grocery items and a whole wing dedicated to restaurant like areas. Restaurants may include seafood, rotisserie foods, caviar and champagne, and much more See all Harrods restaurants here. Its amazing! 1. I ended up meeting an Instagram celebrity that I admire, Costanza Pascolato, whom gave me some tips on style and shopping! (Costanza is a fashion consultant, had previously worked for Vogue, and is a highly respected business woman in the fashion world with her own online blog.) I don’t know how I ran across her on instagram but she just seems so stylish at her older age and I loved it. Costanza Pascolato blog here. And read about her here on the business of Fashion. See the video to see what fast fashion label Costanza Pascolato likes to buy. 2. Buying my first Jimmy Choo’s! 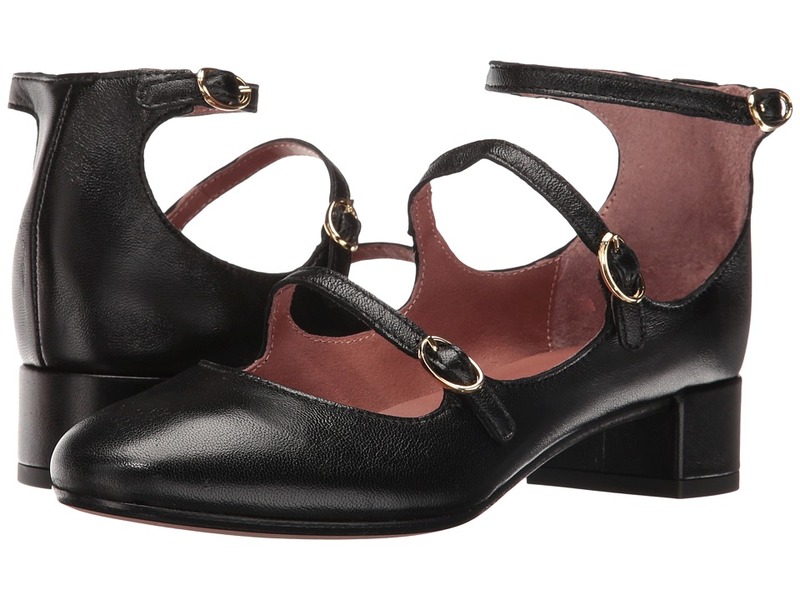 They’re low heeled classic black mary janes with double straps . They were ON SALE too!! Shop below for similar brands I like. Hope you get to go to Harrods… and don’t you miss my 3 favorite places!